So many beautiful florals to choose from in the store - I chose Wallflower for my card, together with the matching 4 Petal Set Fri-Dies and the sentiment comes from WTF. I gold embossed each of the blooms onto card stock, then coloured them with Copics and added an enamel dot to the centres. 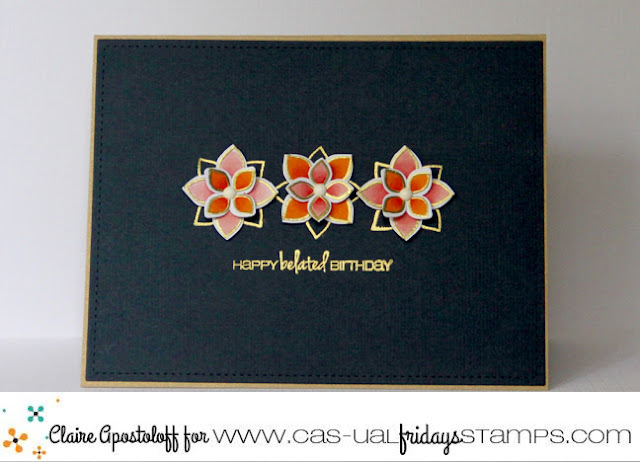 I then gold embossed the larger flower on to navy card to give the illusion of more petals. 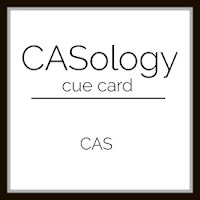 There is a $25.00 gift certificate to the store up for grabs for the winning project. 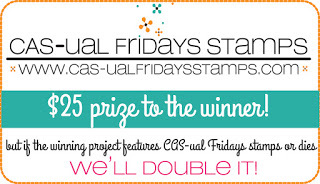 If you use CAS-ual Fridays stamps as the main focus of your card, this will increase to a whopping $50.00! You have until June 14th to get your entries posted so get your crafty skates on. Love the gold, this is so pretty! This is just gorgeous! 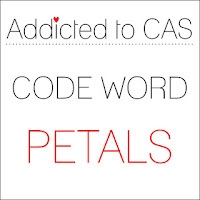 Love these flowers against the dark cardstock! I REALLY admire this card. Embossed to perfection. Not even a speck of gold to see where it's not supposed to be seen. 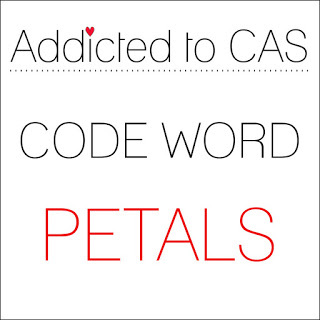 Claire, this is so stunning!!! Love it! Great card, so simple yet striking. Thanks for playing along at ATCAS!